*All building rentals are charged on a daily basis (daily to mean a 24-hour period). One-half day rate will be charged for each setup and/or tear-down day. All equipment is subject to 5.5% sales tax, replacement cost for all equipment is "ACTUAL COST." 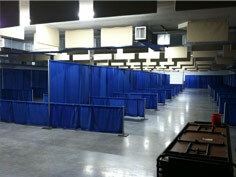 4' x 8' x 16"
4' x 8' x 24"
Considering The Expo Center for your next big event? Get in touch! 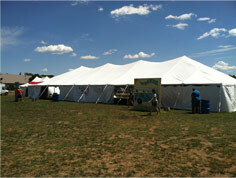 Our event specialists can work with your to make our space work perfectly for your needs. Book your event today!